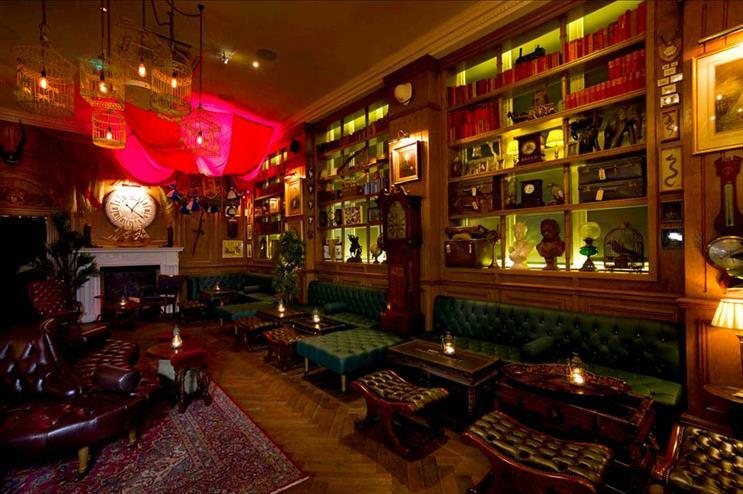 The pitch: This Mayfair bar is modelled on the house in which Jules Verne's famous adventurer, Phileas Fogg of Around the World in Eighty Days, lived. It opened in May last year. Spaces to hire: A place where guests can encounter all of the wonders of the world without setting foot outside of London, the venue can be hired exclusively on request for up to 150 people standing. The walls are adorned with everything from stuffed Indian tigers to maps collected on Phileas's travels. Don't miss: The entrance - it is a 'speakeasy', after all. Look out for the Victorian lantern. 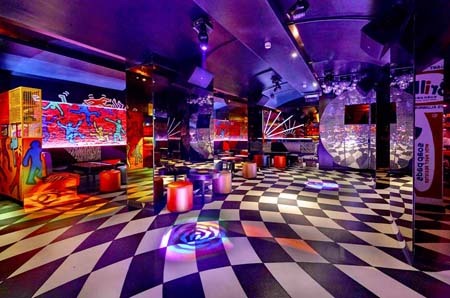 The pitch: This Soho nightspot is inspired by the 1970s Manhattan disco movement. It opened last summer. Spaces to hire: The venue is packed full of quirky features and can hold up to 120 guests in total. Guests are greeted at a Pan Am-inspired lounge where 'air stewardesses' issue boarding passes and check items into the cloakroom via a conveyor belt. The walls in the main room are adorned with a range of nostalgic memorabilia and retro TVs screening music videos, while the bar is mocked up to resemble a vintage fairground stall. Don't miss: The signature cocktails served in vessels designed to look like a 70s-style Michael Jackson head, complete with afro. The pitch: This Korean cocktail bar opened last November beneath Kimchee Restaurant in Holborn. Spaces to hire: The bar follows the same interior styling as the restaurant above, with dark wood panelling and Asian influences. 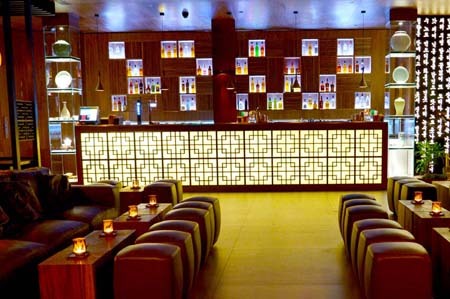 It has its own water garden, a back-lit bar and plenty of comfy booths and leather sofas. It can be exclusively hired for up to 100 guests for a standing drinks reception or 80 seated. A menu of Seoul-ful snacks and light bites is also available. Don't miss: The Seoul-inspired cocktails, such as the Seoul Special Sour and the Nabi Dance. The pitch: Ths is the latest edition to the Grand Union family of dining and drinking establishments - of which there are now eight spread across the capital. It opened in September last year. Spaces to hire: This particular Grand Union is split over two levels, both of which are available to hire for events, either individually or together for exclusive use. The lower level can accommodate up to 100 guests for a standing drinks reception, while the upper level has space for up to 70 guests standing. For more intimate functions, smaller areas within both spaces can be reserved free of charge and minimum spend. Recent clients: Amazon, Monster, Sainsbury's. 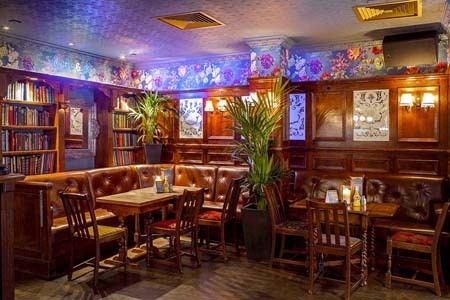 The pitch: The late-night bar and restaurant is co-owned by entrepreneur Nick House and British model Kelly Brook. It opened in November last year and sits on the site of the former Bank of New York on Leadenhall Street. Spaces to hire: Inspired by 1940s America, the venue houses a variety of quirky spaces to hire. 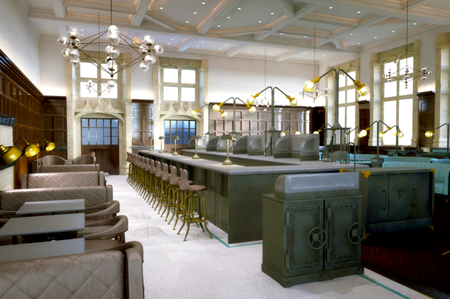 The New York Grand Central Station-themed main floor can hold up to 120 guests seated or 350 standing, while the upstairs Cargo Hold has room for up to 45 seated or 80 standing. 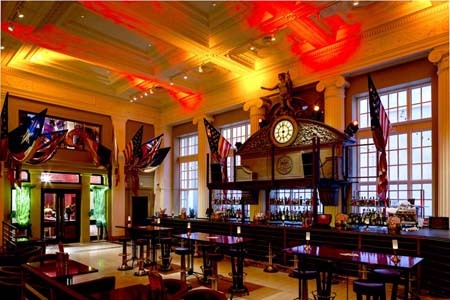 The whole bar can be hired exclusively for up to 550 guests. Don't miss: The rodeo bull. The pitch: Styled on a private members' club, but without the need for membership, this drinking and dining venue is operated by the same team behind Tamarind Catering and Events. It opened in March. Spaces to hire: The Grade II-listed, late Gothic revival Victorian building can be exclusively hired for up to 120 guests seated, or 200 standing. The menu of international dishes has been created by executive chef Massimiliano Blasone, previously of Nikita Malibu and Apsleys at The Lanesborough. Don't miss: The elevated champagne table with views towards Kensington Palace.